Ilka Balk, Director of Engineering Career Development and DeWayne Peevy, Deputy Director AD. 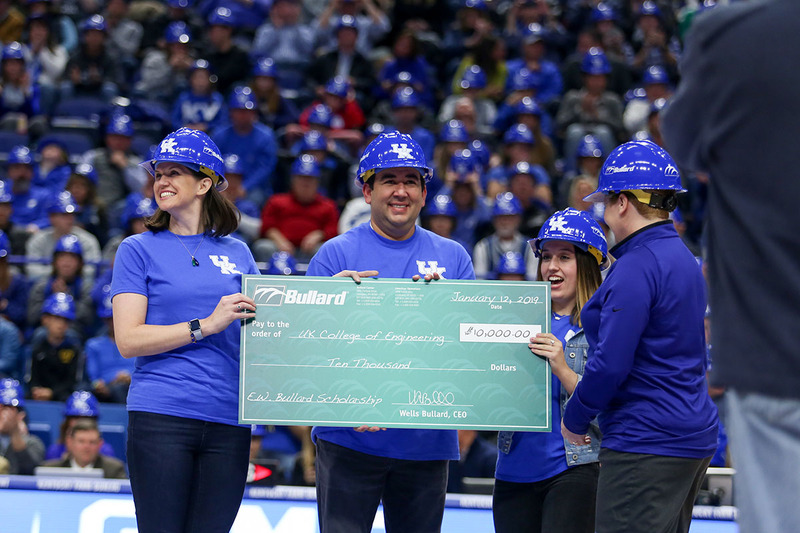 On Saturday, January 12, 2019, Bullard, a global provider of personal protective equipment, supplied 10,000 hard hats to fans attending the University of Kentucky vs. Vanderbilt game. Why? To break the Guinness World Record for the largest gathering of people wearing safety helmets at an event! A Guinness World Record representative was even present to verify the record-breaking event! Bullard is celebrating the 100th anniversary of its hard boiled hat this year. The company's headquarters is in Cynthiana, Kentucky. 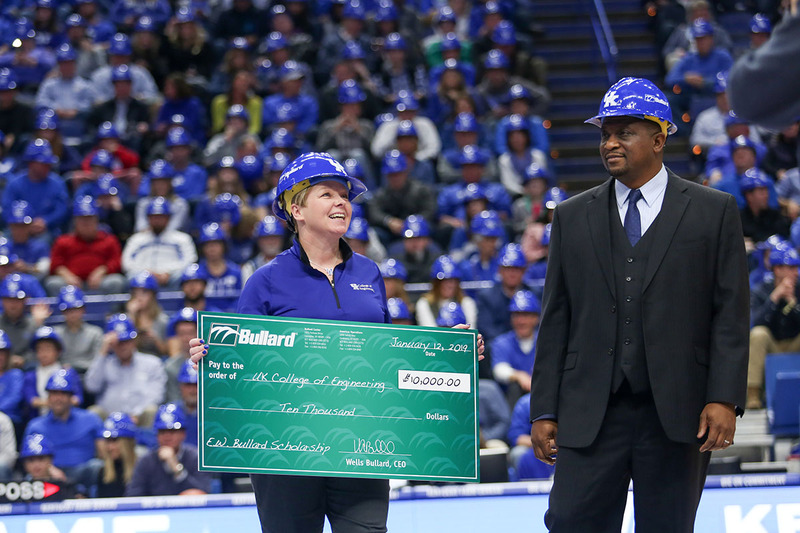 Bullard also presented Ilka Balk, director of engineering career development, with a $10,000 check to support the College of Engineering's mission to educate future engineers. Congratulations to Bullard on its 100th anniversary celebration and new Guinness World Record! Left to Right: Wells Bullard, CEO at Bullard; Peter Lugo, President and COO at Bullard; Alyssa Kelley, Junior in Biosystems Engineering and Bullard Intern; Ilka Balk.